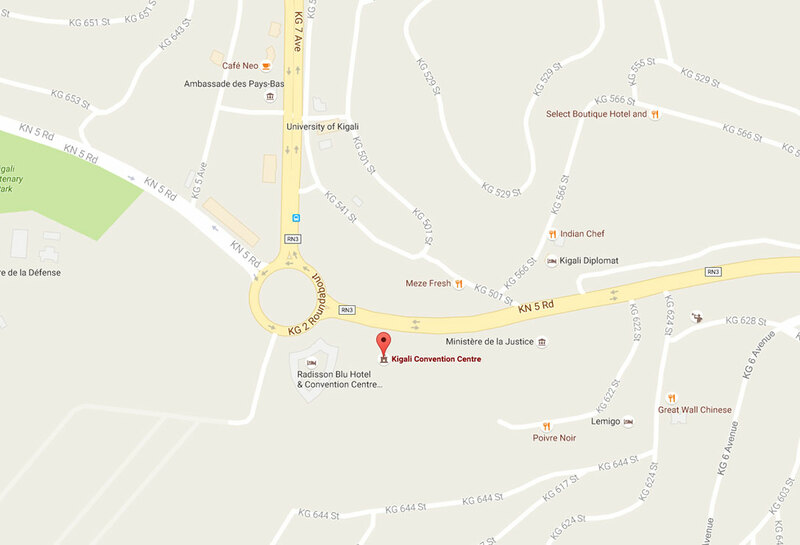 The convention centre is located on Highway KN5, adjacent to the KG2 Roundabout, about 6 kilometres (4 mi) west of Kigali International Airport. This is about 7 kilometres (4 mi) east of the neighbourhood of Kigali called Nyabugogo. The coordinates of the convention centre are 01°57'17.0"S, 30°05'38.0"E (Latitude:-1.954720; Longitude:30.093903). Ample of parking space with security in attendance will be available at the venue.